The Inverter Store has led the power inverter industry by providing a total, turn-key solution to resellers, distributors and OEMs. The Inverter Store provides customers with a reliable source of unique power products at a price that is consistently competitive. The complete line of inverters, transfer switches, custom cut cables and proprietary products, represents one of the largest selections in the industry. Power inverters provide reliable, safe solutions for construction purposes, satellites, audio equipment, amplifiers, televisions, computers, medical equipment and much more. Through The Inverter Store’s product inventory, boaters and RVers as well as commercial trucks/sites and fleets have access to an easy-to-use, consistent power supply that ultimately simplifies their power needs while on the road. The Inverter Store carries a broad inventory of inverters and recognizes that selecting the right inverter can be difficult. RVers have significantly different needs for power inverters than ambulances and other commercial fleets. Power output demands and battery power bank are two factors that are critical for selecting the right inverter. 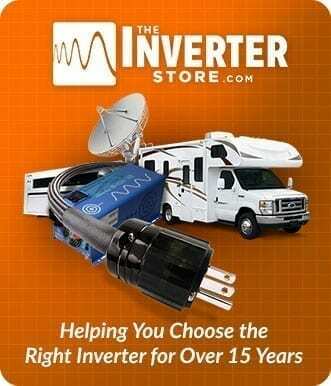 And that’s precisely what The Inverter Store offers—assistance in choosing the right inverter the very first time.